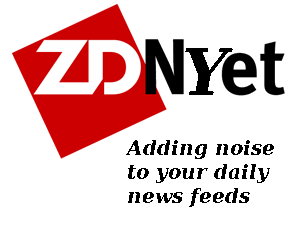 LAST YEAR we wrote about ZDNet and its modification of headlines by editors so as to provoke readers and disseminate noise. A reader of ours has just complained that the good article from Peter Judge had an improper headline. “Eighteen vs Red Hat,” calls it our reader, meaning to say that a lawsuit from 18 companies was somehow cast as just a lawsuit from Red Hat. There is also the implication in the headline that Microsoft’s monopoly should be defended and that Red Hat is a crybaby. Unlike ZDNet/eWeek, Heise has just published an article about the event, under the headline “Open source businesses oppose restricted tender in Switzerland.” Yes, it says “Open source businesses”, not “Red Hat”. It’s also about illegal procurement procedures, not Microsoft’s “monopoly”. A group of open source companies has launched a legal action against the Swiss Federal Office for Buildings and Logistics (FBL). The agency awarded a 3-year, 42 million Swiss franc contract for licence extensions to Microsoft following a “no-bid” process for those extensions. Linux specialists Red Hat, Univention and Collax, groupware vendors Zarafa and Open-Xchange and a range of other companies which earn their living from open source software are now protesting against the award. Also in Heise, today we find this humourous article which mentions Microsoft, Novell, and TomTom. The hostile species is Microsoft, of course. The energy moon that exploded, in this parallel is Windows, as Microsoft dug deeper into the franchise it produced Vista which blew up in their faces. Their enemy, the Federation of Planets, would be the open source and Linux communities, who have constantly felt threatened by Microsoft’s posturing over open source. The warring factions have been separated by a neutral zone which few, save Novell, dared to cross. And that attempt to reach out to find détente would be last year’s reaching out to the Apache Foundation and Microsoft’s open source contributions. When Does ‘News’ Qualify as Shameless Microsoft PR? All that is being asked is to obey the law and conduct your business ethically and fairly. Apparently this is beyond microsoft’s understanding and capability. Which brings us to; microsoft is braking the law, and should be indicted and held for trial in the courts (just as anyone of us, if/when we break the law); Publications who are ‘cheer leading’ these acts should also be held as co-conspirators in spreading disingenuous information. I later realised that they had submitted this to Slashdot under the same inflammatory headline.